The Titus Task is a non-profit, 501c3 organization. 100% of the donations to The Titus Task will be used to pursue a future for orphans. Although The Titus Task believes the family is the answer for the orphan, our mission support is three-fold. 1. 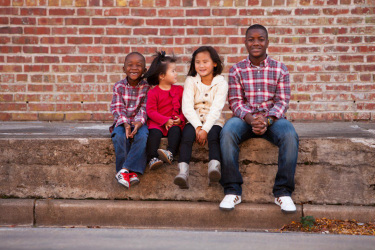 Our funds are used to support local NW Arkansas families who are in the process of domestic or international adoptions. 2. Our funds are also given for life-sustaining support of orphans worldwide. 3. And last, funds are given to support The Titus Task-Haiti Project, a partnership with a Haitian church currently caring for over 25 of its own orphans. OR make a secure online payment through PayPal by clicking on the DONATE button on the Matching Grant page or the Haiti Project Page. To give to a specific family please visit their family page by hovering over the Titus Task Matching Grant Program page. Thank you!